Having already created an out of this world video for the title track from The Mountain Will Fall, DJ Shadow is exploring themes of space once more in a new clip for the Nils Frahm-assisted "Bergschrund." 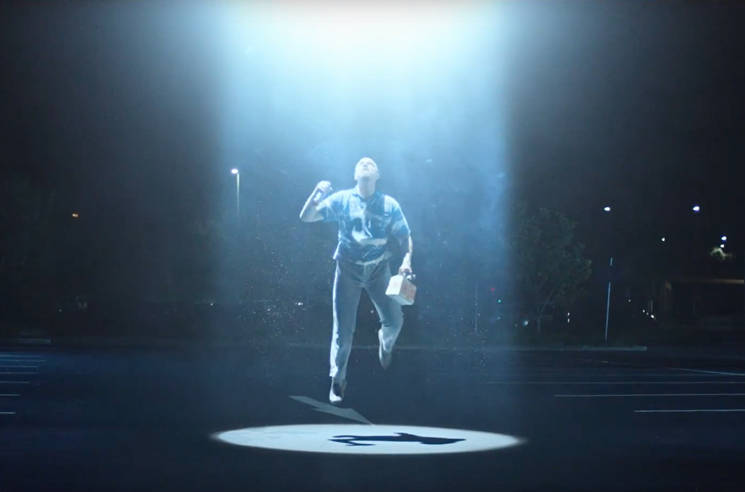 Directed by Matt Devine, the clip stars Matthew Sunderland as a regular Joe headed home with a six-pack of beer only to be made the target of an alien abduction. As you'll find out in the clip, taking Sunderland's character away from his home planet doesn't go quite as planned. "To me the track has a really cinematic and also science fiction tone to it," Devine said in a statement. "I wanted to make a film that really worked with this visually but also had a humor to it. It is also my favourite track from the album so I was honoured to be asked to make something for it."